To appreciate the great motherhood, a famous software vendor WonderFox Soft is providing their new-updated WonderFox DVD Video Converter “Senior Version” for Techocious readers! This special giveaway will go through the whole May, take this rare chance to get one copy of this great software! Let’s check out what this software can do for you. WonderFox DVD Video Converter is a champion product to provide you one-stop multimedia family sharing total solution, including rip DVD, convert video to 200+ formats and popular portable devices, download Youtube video, make ringtones for iOS/Android devices, video editing and etc. 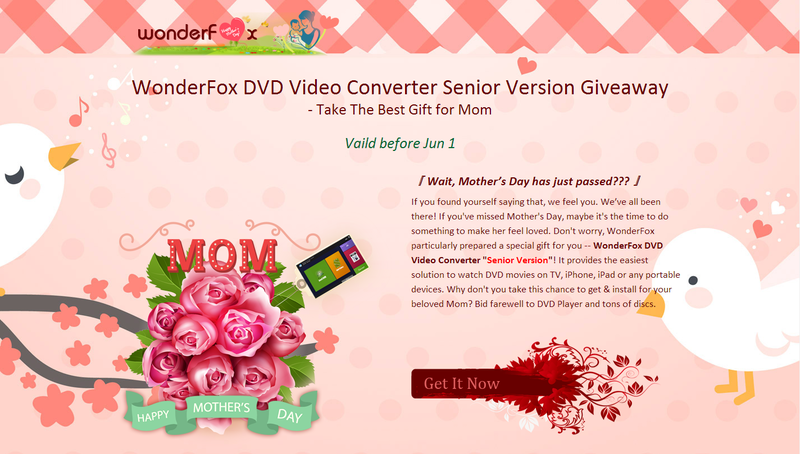 For the great Mother’s Day, WonderFox particularly released a special "Senior Version" for WonderFox DVD Video Converter -- design & optimized for the elders. A new feature “Senior Mode” is embedded to the latest version 8.2 for elder users. The Senior Mode is particularly designed & optimized for the elders, with larger size of font&buttons and simplified options. It is easy-to-use and has a friendly & intuitive interface for seniors or novices. • Ringtone Studio - Make Your Ringtones Unique and Popular! 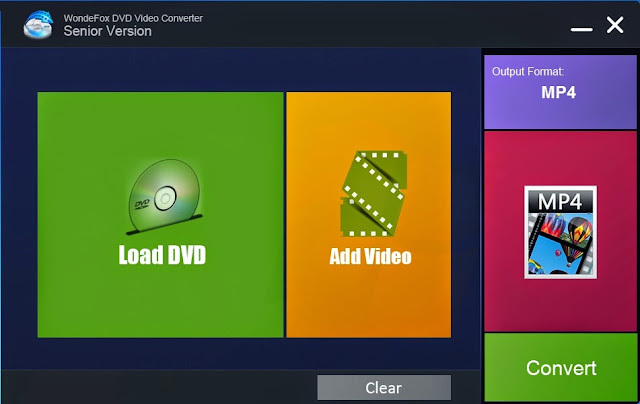 How to WonderFox DVD Video Converter FREE? 1. Just simply go to the official giveaway page and get the software & license key by downloading the software package. 2. Download the zip file which includes the installer and a text file containing your license code. 3. Install it to your PC and register with the license key you’ve got. 1. Open WonderFox DVD Video Converter and click the “GLASS” button on the tool bar to enter Senior Mode. 3. Click “Convert” button to run the progress and then get the digital copy. I believe you can’t refuse such thoughtful gift, just enjoy it and have a great day!